Malaysian ex-leader Mahathir Mohamad warned on Friday that elections next month will be the dirtiest in the country’s history due to cheating by the “monster” prime minister, but insisted his opposition alliance has a fighting chance. Mahathir, who led Malaysia for over two decades, has been spurred out of retirement aged 92 to take on Najib Razak by allegations the premier was involved in an audacious scheme to plunder state fund 1MDB. Najib and the fund deny any wrongdoing. Mahathir is the prime ministerial candidate in an opposition packed with former foes but is not expected to be able to beat the party that he used to lead. The ruling Barisan Nasional (BN) coalition has a firm grip on power, and critics charge the government is seeking to rig the poll. Nevertheless the May 9 election could be the toughest ever for BN, which has ruled Malaysia since independence in 1957. In an interview with AFP, Mahathir warned the vote would be the “dirtiest” seen in Malaysia. The opposition has been angered by what they claim is gerrymandering and attacks on them by the government. “In the history of Malaysian elections, we don’t have this kind of manipulation,” said Mahathir, who would be the world’s oldest premier if he won. But Abdul Aziz Kaprawi – a deputy minister and senior member of Najib’s United Malays National Organisation (UMNO), the main coalition party – rejected the allegations and accused Mahathir of “spewing lies”. Mahathir was himself accused of being an authoritarian leader during his rule, and also faced claims of cheating at elections to hang on to power. The opposition says one of the most blatant attempts to fix the poll was a redrawing of the electoral map last month, which created seats dominated by the multi-ethnic country’s Muslim Malay majority that they claim is likely to back BN. The government insists it was to reflect demographic changes. 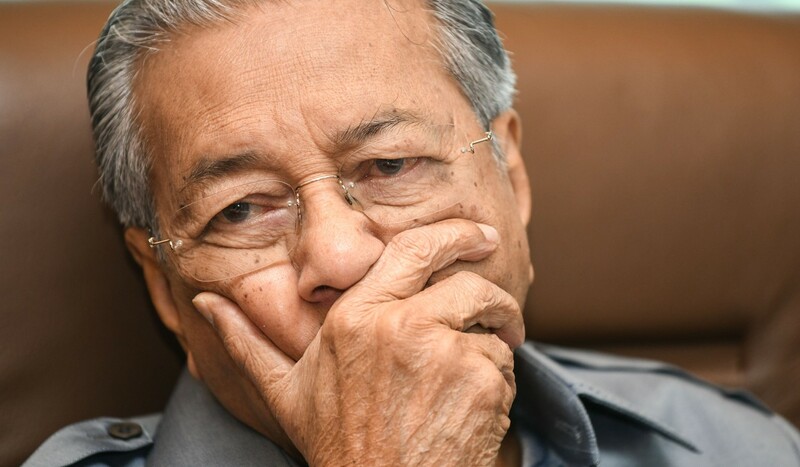 Mahathir also pointed to a move by authorities last week ordering his party, Bersatu, to temporarily disband due to problems with paperwork as an example of the government seeking to undermine the opposition. There have long been accusations of cheating in Malaysian elections. These range from claims of non-existent voters being added to the electoral roll to allegations that supposedly “indelible” ink used for voting at the last poll in 2013 could be washed off people’s index fingers, theoretically allowing them to vote again. Despite the challenges, Mahathir said the opposition still “have a good chance”. “If you go by the sentiments of the people, we will win hands down,” he said, during the interview at his Kuala Lumpur office. Mahathir, who used to be Najib’s mentor, said he once believed the premier was a “nice man” – but now considers him a “monster”. 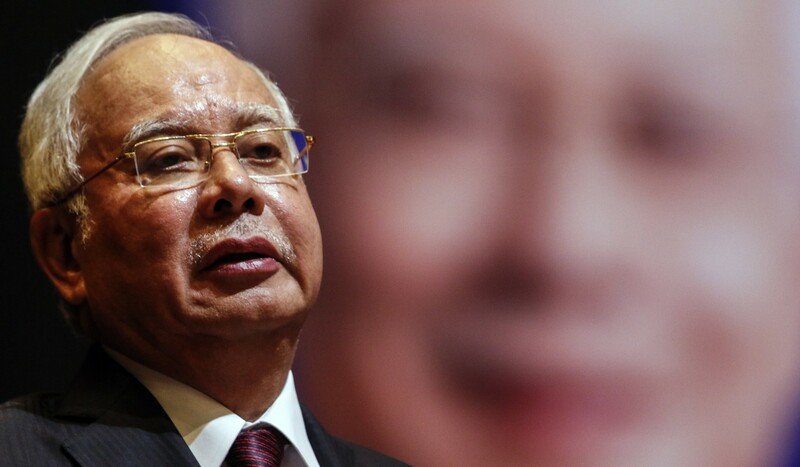 “I don’t relish the idea of a thief becoming the prime minister of Malaysia,” he said. The US Justice Department alleges in civil lawsuits that US$4.5 billion was looted from 1MDB, which was set up and overseen by Najib. Abdul Aziz hit back at Mahathir, insisting Najib was no monster. “The Malays will now look at Mahathir as an arrogant man because he is attempting to topple Najib,” he told AFP. Mahathir has long championed the Malay cause and the opposition hopes he can persuade rural Muslim voters to shift their support to them, adding to their traditional following of urban voters and minorities.